2. Developing computational fluency comes from a strong sense of number. How do values determine spending habits ? During class discussions, small group discussions and one on one conversations. Review of the work students do during the thinking routines. Assessment of practice activities and students’ ability to perform the monetary calculations. Imbed “What Makes You Say That?” (Making Thinking Visible Routine) into all class and individual discussions. Allow students to select the short stories that link to Identity. Creating a personal budget that reflects their income (based on age level appropriate earnings), their expenses and their charitable donations. Budgets should reflect real and attainable needs and wants. How do values determine spending habits? Participation during class and small group discussions – look for level of understanding with regards to the unit understandings. 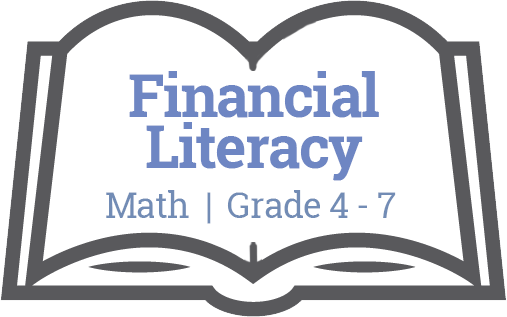 Are students developing their understanding of the importance of money, and how financial decisions are impacted by many different things? Imbed “What Makes You Say That?” into all class and individual discussions. Reflections on spending, earning, donating and being financially responsible. Reflections on personal views of money (Claim, Support, Question; I Used to Think…Now I Think…). Performance on practice activities and text book work – look for ability to perform the monetary (borrowing, regrouping, decimal place value) and percent calculations (the process needed to perform these). Short quizzes imbedded throughout to assess students’ ability to perform the monetary calculations (borrowing, regrouping, decimal place value) and percent calculations (the process needed to perform these).